… make dramatic improvements in our lives. Meet Navy Veteran Jason Roberts. Jason Roberts (he asked us to change his name for privacy reasons) served in the Navy from 1967 – 1990. 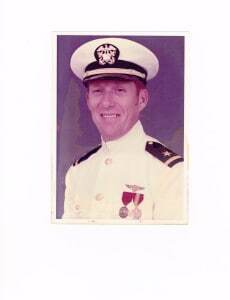 As a result of his career in the Navy, he had a condition called prostatitis. Simply stated, prostatitis is a chronic infection of the prostate, and can cause frequent and painful Urinary Tract Infections. For that condition, after he filed a VA Claim, the VA assigned him a 10% disability rating. Later in life, Jason was diagnosed with Prostate Cancer. He believed his prostate cancer was related to his military service – at the very least, he knew it was the result of extensive and chronic and painful UTIs (Urinary Tract Infections) from his service-connected prostatitis. For a long time, Jason had wanted to file another VA Claim and increase his VA Disability Rating to cover his prostate cancer. But everyone he talked to – Veterans, VSOs, you name it – told him that it was impossible to get 100% for a VA Claim for prostate cancer resulting from his UTIs & prostatitis. That’s when Jason found the Veterans Law Blog. 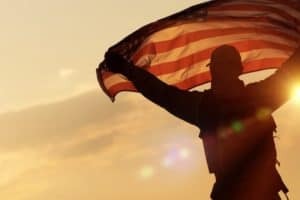 The VA is incredibly challenging to deal with – but with a well-researched, well-documented, and cleanly presented VA claim, Veterans might just have more Power over the VA than they realized. 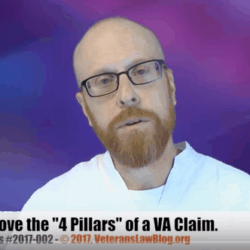 How to Prove Service Connection in a VA Claim (Click here to see what is included in this Video Training Package). Jason purchased this video for only $74.95. 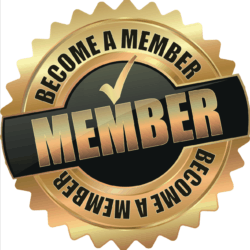 Subscription to the Veterans Law Blog (Click here to see the extensive eBooks and videos that are included with a Premium Subscription). In other words, he spent a total of about $209 (and change). Obtained all of his medical records that documented his urinary tract infections, years of taking antibiotics, etc. Provided lay evidence, including his personal overview and his wife’s overview. 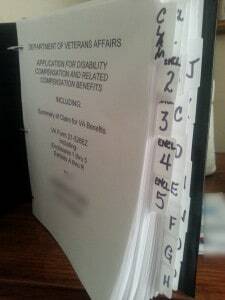 Submitted all of the forms and provided all of the information required by the VA.
Jason presented all of this information in his VA Claim in a 3 ring binder that included an easy to follow, fully tabbed and logically presented package. Note from the author: THIS is a subtle change that has a huge impact. The more helpful you are in making your VA Claim organized and easy to understand, the more likely you are to find a VA employee that WANTS to grant your VA Claim. The VSO that helped him with the actual filing of the claim was astounded at his submission package – the VSO stated that he usually just gets the required forms from Veterans. “When I first started this journey everyone I talked to told me how impossible it is to get 100% for prostate cancer as a result of Urinary tract infections/prostatitis. Your eBooks, training videos and the Veterans Law Blog were the deciding factor to take on the challenge. All I did was follow the steps that you provided and presented a professionally researched and documented package to the VA, just like you recommended. After purchasing the training materials in July 2015, and using the methods to proving a claim you teach, I was awarded 100% for prostate cancer plus SMC- K with a payout of $3172.13 per month in January 2016. The VA back-dated my claim to July 2008, and the VA is paying me over $200,000 in past-due benefits. Now, I’m not going to sugar-coat things: Jason told me he put in a LOT of time and work to get this packet put together so he could file his VA claim in just about 60 days. But because he was willing to get the knowledge and do the work, Jason realized how much power and control over the VA he really had. Pay 30% of his past-due benefits to an attorney – by doing his claim himself, he got to keep what he would have had to pay an attorney – that’s an extra $60,000 that stayed in his pocket because he learned how to file his claim the right way the first time. Ready to get started taking back the Power in Your VA Claim? Here we have a Veteran with a 10% rating for his service-connected disability. That’s $135 (ish) a month. 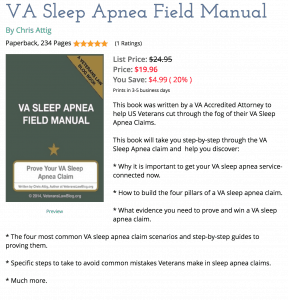 The Veteran realizes that the VA isn’t properly compensating him, so he purchases $155 in training materials from the Veterans Law Blog. In less than 6 months, he wins a VA claim that many said was impossible, and now the VA is paying him 100% disability plus Special Monthly Compensation – over $3,100 a month. On top of that, he has almost a quarter of a million dollars in the bank. We as Veterans wrote a blank check with our bodies many years ago…. … with knowledge, good old-fashioned “elbow grease”, and determination, we can recover the benefits we were promised. And change our lives for the better. Almost overnight. We DON’T have to be victims of the VA – unless we choose to be victims! 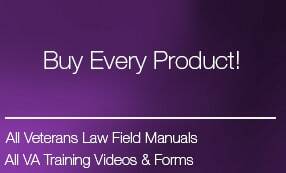 Check out the library of VA Claims Training Videos and Field Manuals and choose the ones that will be most helpful to you…..or, get everything all at once. Stop in to my Facebook page and check out my LIVE pop-up videos and hundreds of recorded instructional videos. I am glad to see someone that is helping veterans that are unable to get the assistance from outside the Military arena. Thanks for your time and effort for putting together the information that we can always use. I also have been with an artillery unit in Iraq during Desert Storm. King of Battle leads the way!! Let me know if there is any information you need but cannot find on the Veterans Law Blog.